Of all the credible contingencies facing Australia in the foreseeable future, the most challenging would undoubtedly be our involvement with the US in countering a major Chinese attack on Taiwan. For obvious reasons, our politicians have refused to be drawn into public discussion about such a serious conflict. They prefer instead to resort to the ‘we do not discuss such theoretical contingencies’ as an understandable let-out. Discussion of this subject in academic publications in Australia has invariably tended to paint only the downsides of our involvement with the US in a war with China over Taiwan. This article takes a different line and argues that if China were attacking US forces in a major military conflict across the Taiwan Strait and Australia refused to be involved, the very existence of the ANZUS alliance would be at risk. President Xi Jinping has recently reiterated  China’s threat to use military force against Taiwan. On 2 January 2019, he warned that China would not rule out the threat of military action to reclaim Taiwan: ‘We make no promise to give up the use of military force and reserve the option of taking all necessary means.’ Since taking office in 2012, Xi has made it clear that taking back Taiwan would be the crowning achievement in his vision to restore China’s place as a great power. The key question now is whether Xi will come under more pressure this year to invade Taiwan because of the rising tensions he is facing—both domestically with declining economic performance and internationally with an increasingly assertive America. Resorting to a serious external crisis over Taiwan would serve to divert the attention of the Chinese people to a major issue of national pride. There can be no doubt that China is developing the military means to attack Taiwan decisively. The US assessment is that the People’s Liberation Army is capable of increasingly sophisticated military actions against Taiwan and is overcoming its historical inability to project power across the Taiwan Strait, which is the natural geographic advantage of the island’s defence. Beijing’s options include a maritime blockade, an intense air and missile campaign to degrade Taiwan’s defences, and an outright amphibious invasion to seize and occupy key targets or the entire island. Even so, large-scale amphibious invasion is one of the most complicated and difficult of military operations. An attempt to invade Taiwan would  ‘strain China’s armed forces and invite international intervention’, making an amphibious invasion of Taiwan ‘a significant political and military risk’. Beijing needs to be aware of the huge international opposition that would be generated by its occupation of a vibrant democracy of 24 million people. However, the longer Beijing defers using military force, the stronger a unique sense of Taiwanese identity is becoming. In that respect, time is not on Beijing’s side. From America’s point of view, it must recognise that any military conflict with China in such proximity to the mainland will increasingly work to Beijing’s advantage as it develops the modern, advanced capabilities to project military power. But we tend to underestimate the importance the US puts on the defence of Taiwan. Australians see Taiwan as more marginal than do the Americans. There is now a consensus across the political, security and economic communities in Washington that China is America’s major adversary. As Vice President Mike Pence made plain in his speech  to the Hudson Institute last October, China wants nothing less than to push the United States from the Western Pacific and ‘attempt to prevent us from coming to the aid of our allies’. The days are gone of the US not standing up to an increasingly aggressive China. However, two of my colleagues at the ANU, Professors Hugh White and Brendan Taylor, are of the view that the game is over for Taiwan. White argues  that no American leader can dismiss the risk that a conflict over Taiwan would escalate to a nuclear exchange ‘involving devastating strikes on US cities’, which he asserts would prevent the US from coming to Taiwan’s defence. He also believes that strategically it’s hard to see that reunification harms US interests ‘because possession of Taiwan by China would not make any real difference to the strategic balance between the US and China in the Western Pacific’. Such a complacent attitude ignores the grave implications for extended nuclear deterrence for US allies such as Japan and Australia. Abandoning Taiwan to a Chinese military takeover would threaten the balance of power in the region by significantly undermining the trust and confidence of US allies. Taylor holds the view  that America’s ability to intervene in the Taiwan Strait is receding and is already at its limit. 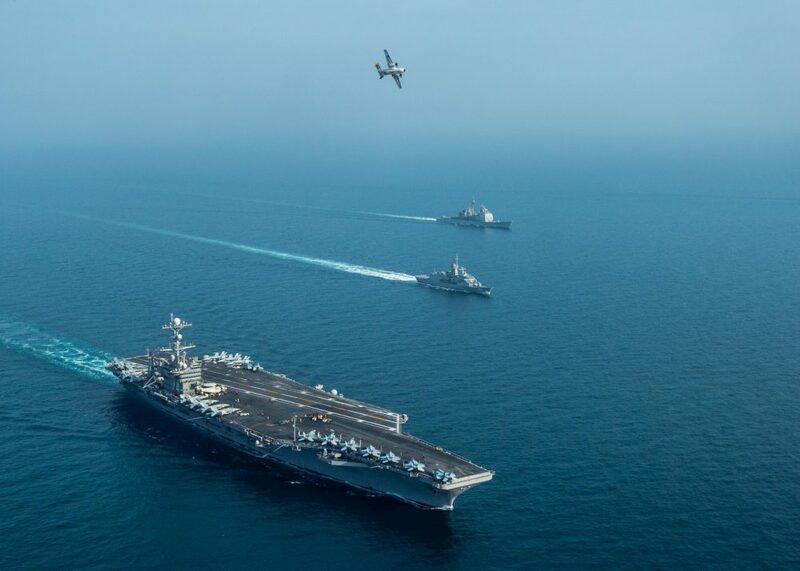 Any US advantage will likely be gone in a decade, he claims, thus allowing Beijing to deny America access to the theatre, while an attempt by the US to re-engage carries the risk of sparking ‘a war like no other’. In the Cold War, there were the same sorts of arguments about the overwhelming ability of Soviet military power to occupy West Germany. Washington’s response was to develop nuclear weapons with the specific mission to destroy the Soviet leadership. America has never resiled from contemplating the use of nuclear weapons and, moreover, possesses unique conventional prompt global strike weapons. This brings me to the implications for Australia of a war between the US and China over Taiwan. My view is quite simple: in the event of an unprovoked Chinese attack, if the US doesn’t come to the defence of Taiwan, that will mark the end of the alliance system in the Asia–Pacific region. Japan and South Korea would be likely to quickly develop their own nuclear weapons. If America does defend Taiwan and Australia refuses to make a military contribution, that will threaten the very raison d’être for ANZUS. My reasoning here is no other American ally—except Japan—will commit to the military defence of Taiwan. Let’s go through the list of countries that will look the other way: they include South Korea and every Southeast Asian country, New Zealand and most likely Canada, and probably every NATO country—including the UK. However, Japan might well consider making a significant military contribution because of its close relations with Taiwan and the fact that a PRC-occupied Taiwan would massively complicate its own defence problems. Possession of Taiwan would give Beijing a forward military presence to threaten the Ryukyu (Nansei) Islands, which include Okinawa, and Japan itself, as well as providing a deep-water bastion off Taiwan’s east coast for China’s SSBNS. For Australia, Taiwan certainly comes within the ANZUS Treaty ’s definition of an armed attack in ‘the Pacific Area’. Australia is a stand-out as the only Five Eyes ally the US should be able to depend on. Our refusal would be seen in Washington as the ultimate betrayal of our alliance commitment in our own region of primary strategic concern. It’s in our interest to stand up for the defence of a successful democracy of 24 million people living on an island. If Taiwan isn’t worth defending, why would anyone come to Australia’s defence? Paul Dibb is emeritus professor of strategic studies at the Australian National University. Image courtesy of US Central Command.